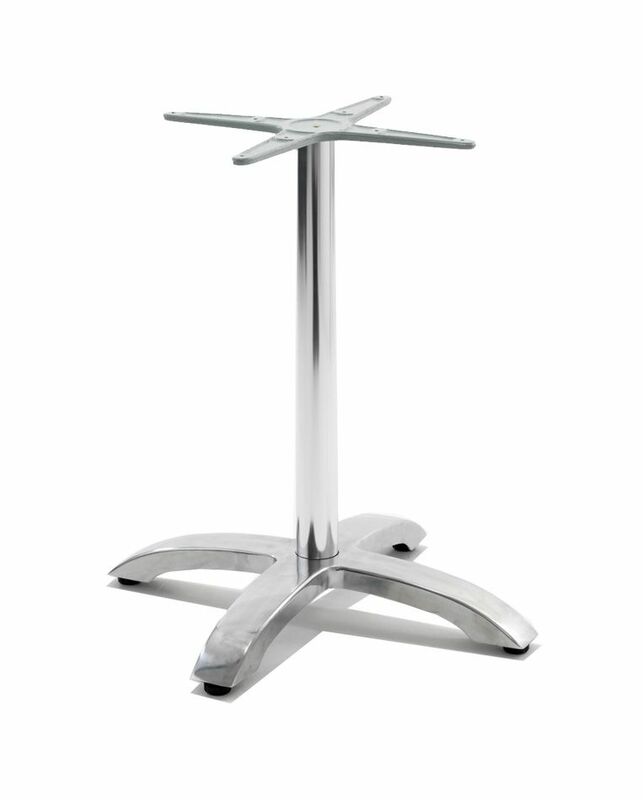 Gull 4 table base suits round or square tops up to 800mm. Polished aluminium base. Comes with four adjustable feet. Suitable for outdoor use.